As someone who eats out quite regularly, I see all the trends when it comes to new eateries. As people becomes more health conscious, we’re starting to see an increase in health food stores pop up around the city. 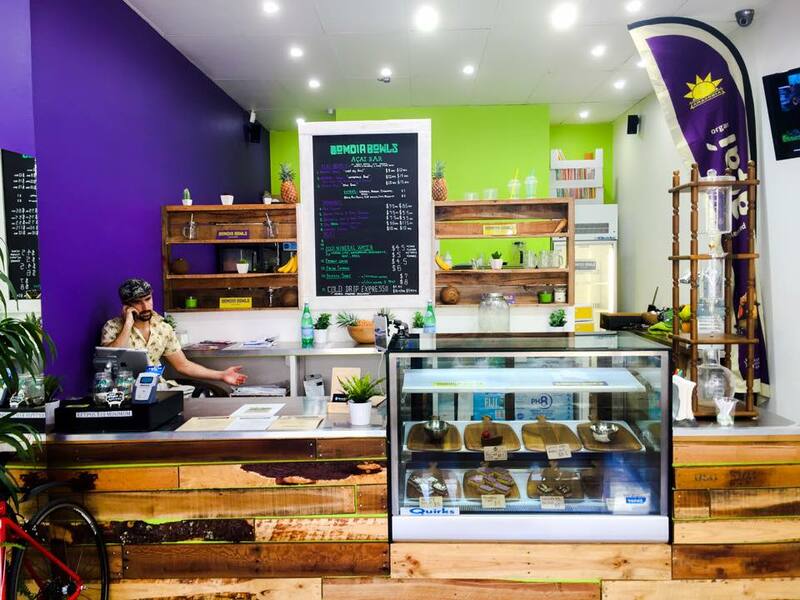 The latest place to join the health food bandwagon is Bom Dia Bowls, a store that specialises in the use of the acai berry. The acai berry is a purple reddish fruit that is native to Central and South America, and is touted to have anti-aging and weight loss properties. 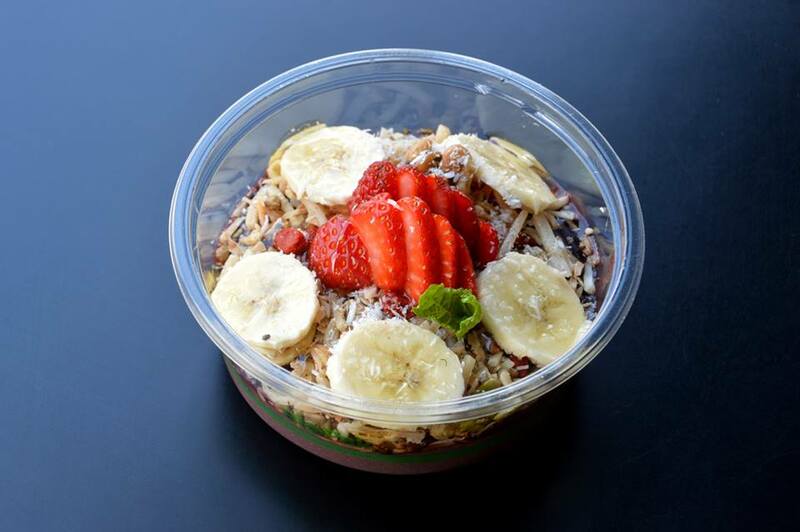 At Bom Dia Bowls, there are 3 acai bowls to choose from and are available in small or regular sizes. They also have a selection of smoothies and beverages which are all dairy, gluten and refined sugar free. Based on the fact that their bowls are served in plastic containers and the seating is arranged like a waiting area, I would say most of the customers are take away. Today, I ordered the Bomdia Bowl which contains acai berries, granola, banana, strawberry, fine coconut and honey. The acai berries were mashed up and reminded me of a red bean paste. There was the natural sweetness from the banana, strawberries and honey, and the granola added a nice crunchy texture. The bowl looked and tasted like a dessert, except it was all healthy. The staff were friendly and the service was good. The small Bomdia Bowl will set you back $9 and the regular $12. While their bowls are healthy and low in calories, the downside is, I found myself hungry after 2 hours of eating. I guess I’d be in the same situation had I had a salad. The acai bowls are delicious and healthy, and the pricing is reasonable. For all you big eaters out there, you might need to visit this place twice before dinner.